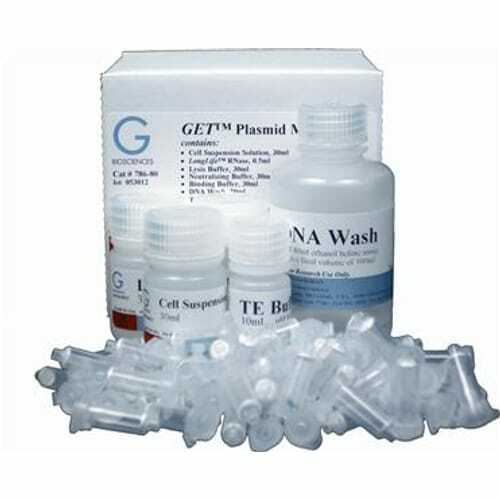 A selection of products for the isolation, transformation and high throughput screening of plasmids. 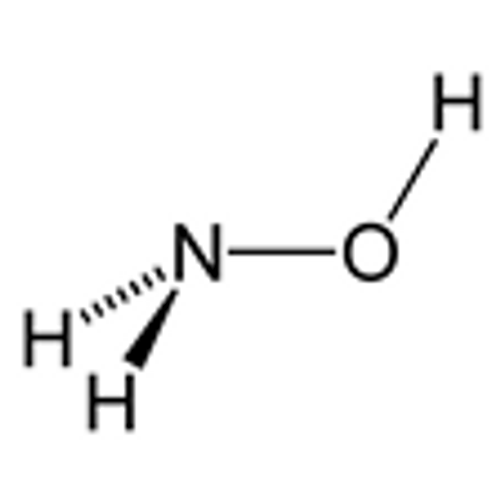 Hydroxylamine•HCl is a reducing agent that is routinely used for the deacetylation of SATA to form free sulfhydryls (Figure 1), for cleavage of protein cross-linkers that contain carbonyl groups (i.e. 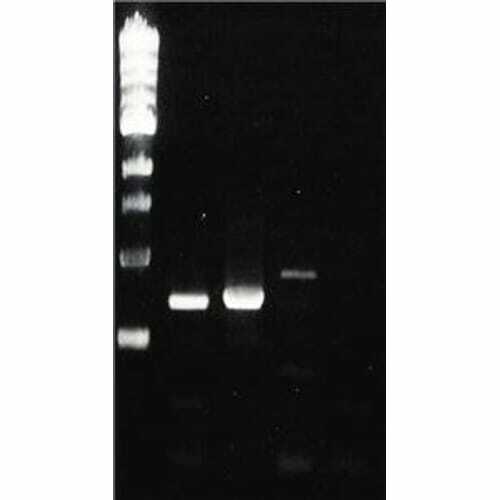 EGS) and for mutagenesis of plasmid DNA. 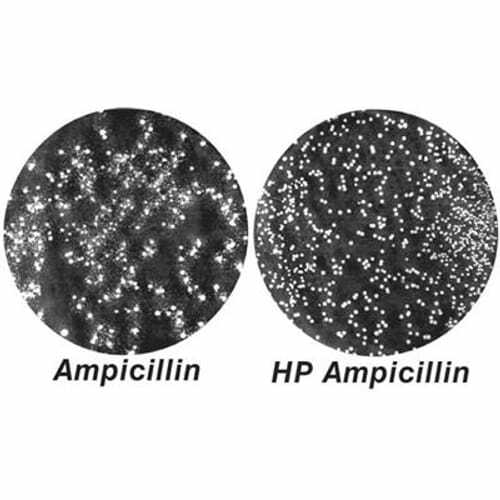 Features Synonym: Hydroxylammonium chlor..
Plasmid Screening Toothpick™ is a unique system that allows for the rapid screening of bacteria for transformed plasmids, without the need for an overnight culture. 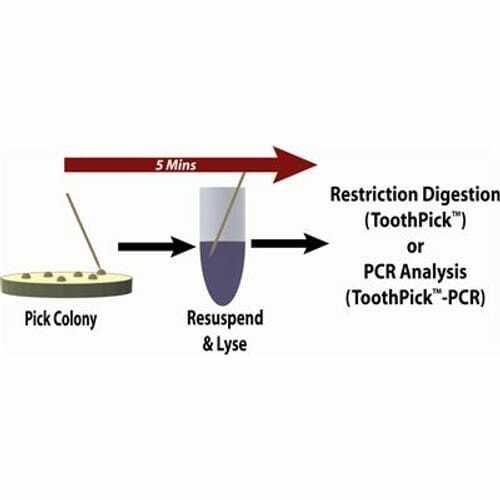 Pick a colony, add to Plasmid Screening Toothpick™ reagents and then analyze using restriction enzymes. 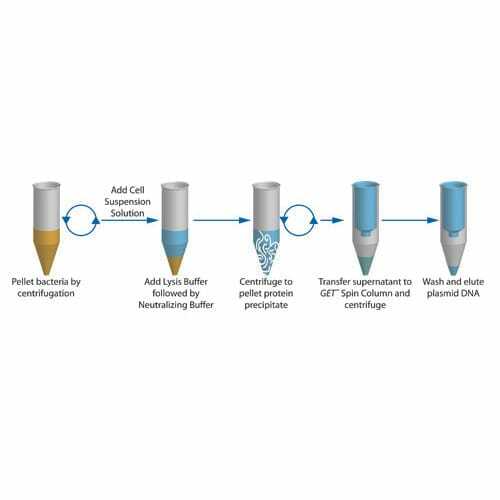 Feat..
Toothpick™-PCR is an extension of Toothpick™ and allows for the rapid release of plasmids from transformed bacteria for screening by polymerase chain reaction (PCR). 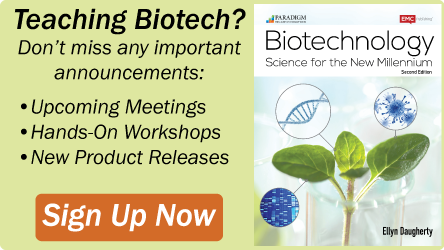 There is no requirement for growing bacteria, performing "minipreps" or purifying the plasmid DNA. Add .. 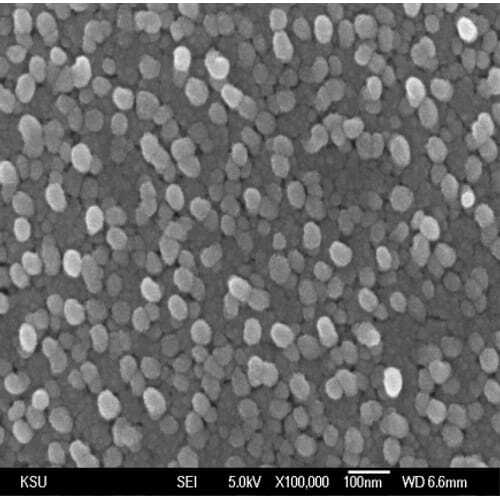 The Z-Competent™ E. coli Transformation kit is designed to generate competent E. coli cells for simple and highly efficient E. coli transformation. 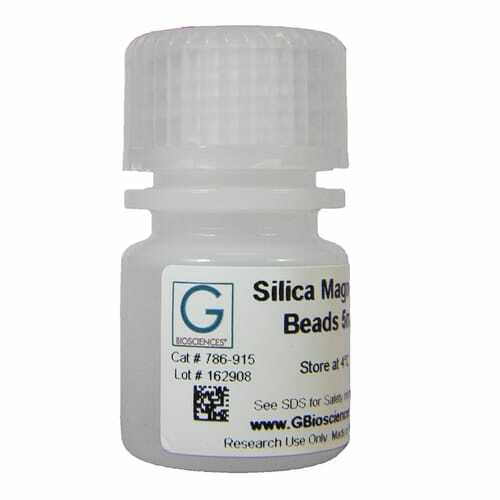 E. coli are grown in SOB medium (supplied with Cat. # GZ-5), washed and suspended in our supplied Competent Buffer. 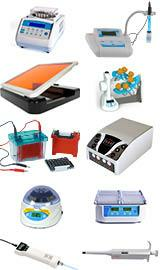 The bacterial cells a..